Health is a state of being well enough to function well physically, mentally and socially. The health of all organisms will depend on their surroundings or their environment. The environment includes the physical environment. Our social environment, therefore, is an important factor in our individual health. Public cleanliness is important for individual health. 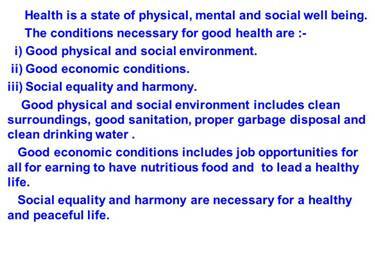 Social equality and harmony are therefore necessary for individual health. The word is actually self-explanatory – we can think of it as ‘disease’ – disturbed ease. Disease, in other words, literally means being uncomfortable. When there is a disease, either the functioning or the appearance of one or more systems of the body will change for the worse. These changes give rise to symptoms and signs of disease. Signs of disease are what physicians will look for on the basis of the symptoms. Signs will give a little more definite indication of the presence of a particular disease. Physicians will also get laboratory tests done to pinpoint the disease further. The manifestations of disease will be different depending on a number of factors. One of the most obvious factors that determine how we perceive the disease is its duration. Some diseases last for only very short periods of time, and these are called acute diseases. We all know from experience that the common cold lasts only a few days. Other ailments can last for a long time, even as much as a lifetime, and are called chronic diseases. An example is the infection causing elephantiasis, which is very common in some parts of India. Any disease that causes poor functioning of some part of the body will affect our general health as well. This is because all functions of the body are necessary for general health. In other words, we are likely to have prolonged general poor health if we have a chronic disease. Chronic diseases therefore, have very drastic long-term effects on people’s health as compared to acute diseases. It is useful to think of the immediate causes of disease as belonging to two distinct types. 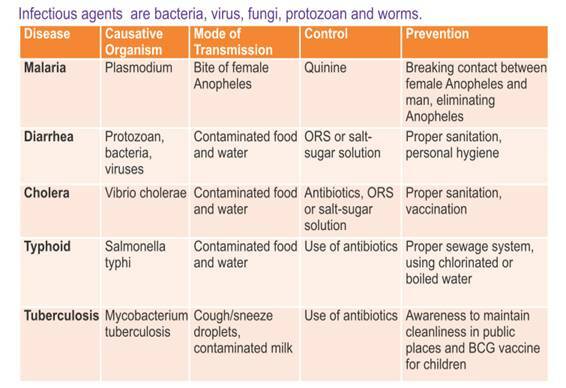 One group of causes is the infectious agents, mostly microbes or micro-organisms. Diseases where microbes are the immediate causes are called infectious diseases. This is because the microbes can spread in the community, and the diseases they cause will spread with them. On the other hand, there are also diseases that are not caused by infectious agents. Their causes vary, but they are not external causes like microbes that can spread in the community. Instead, these are mostly internal, non-infectious causes. 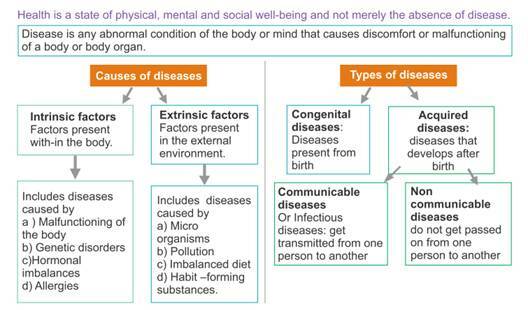 The ways in which diseases spread, and the ways in which they can be treated and prevented at the community level would be different for different diseases. This would depend a lot on whether the immediate causes are infectious or non-infectious. 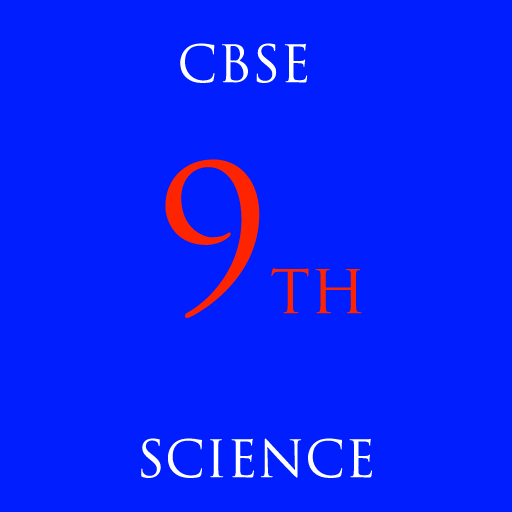 Organisms that can cause disease are found in a wide range of such categories of classification. Some of them are viruses, some are bacteria, some are fungi, some are single-celled animals or protozoans. Some diseases are also caused by multicellular organisms, such as worms of different kinds. Common examples of diseases caused by viruses are the common cold, influenza, dengue fever and AIDS. Diseases like typhoid fever, cholera, tuberculosis and anthrax are caused by bacteria. Many common skin infections are caused by different kinds of fungi. Protozoan microbes cause many familiar diseases, such as malaria and kalaazar. All of us have also come across intestinal worm infections, as well as diseases like elephantiasis caused by diffferent species of worms. Viruses, bacteria and fungi multiply very quickly, while worms multiply very slowly in comparison. All bacteria are closely related to each other than to viruses and vice versa. This means that many important life processes are similar in the bacteria group but are not shared with the virus group. As a result, drugs that block one of these life processes in one member of the group is likely to be effective against many other members of the group. As an example, let us take antibiotics. They commonly block biochemical pathways important for bacteria. Many bacteria, for example, make a cell-wall to protect them. The antibiotic penicillin blocks the bacterial processes that build the cell wall. As a result, the growing bacteria become unable to make cell-walls, and die easily. Human cells don’t make a cell-wall anyway, so penicillin cannot have such an effect on us. Penicillin will have this effect on any bacteria that use such processes for making cell-walls. Similarly, many antibiotics work against many species of bacteria rather than simply working against one. Many microbial agents can commonly move from an affected person to someone else in a variety of ways. Such disease-causing microbes can spread through the air. This occurs through the little droplets thrown out by an infected person who sneezes or coughs. We live in an environment that is full of many other creatures apart from us. It is inevitable that many diseases will be transmitted by other animals. These animals carry the infecting agents from a sick person to another potential host. These animals are thus the intermediaries and are called vectors. The commonest vectors we all know are mosquitoes. The signs and symptoms of a disease will thus depend on the tissue or organ which the microbe targets. An active immune system recruits many cells to the affected tissue to kill off the disease-causing microbes. This recruitment process is called inflammation. One would be to reduce the effects of the disease and the other to kill the cause of the disease. For the first, we can provide treatment that will reduce the symptoms. The symptoms are usually because of inflammation. One reason why making anti-viral medicines is harder than making antibacterial medicines is that viruses have few biochemical mechanisms of their own. There are three limitations of this approach to dealing with infectious disease. The first is that once someone has a disease, their body functions are damaged and may never recover completely. The second is that treatment will take time, which means that someone suffering from a disease is likely to be bedridden for some time even if we can give proper treatment. The third is that the person suffering from an infectious disease can serve as the source from where the infection may spread to other people. It is because of such reasons that prevention of diseases is better than their cure. 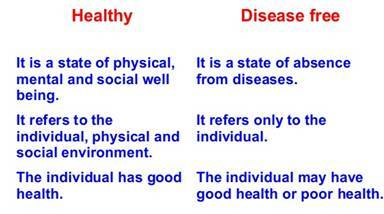 There are two ways, one general and one specific to each disease. The general ways of preventing infections mostly relate to preventing exposure. The second basic principle of prevention of infectious disease is the availability of proper and sufficient food for everyone.